Even more Oktoberfest beers have arrived at The Hop Yard since our last update. 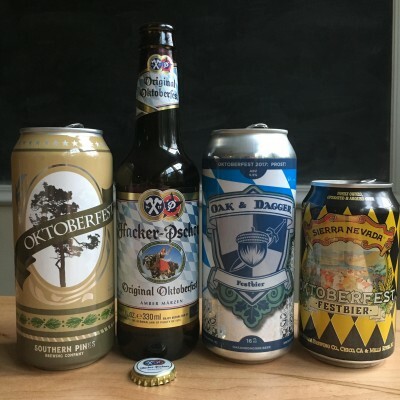 To keep you up to date on your Oktoberfest options at The Hop Yard, we sat down and tried the latest arrivals. Fill up your glass and read on. What We Tasted: Malt-forward with freshly baked biscuit, toasted bread, and a caramel-honey sweetness balanced by a moderate, soft bitterness and an ever-present noble hop flavor. About The Beer: Centuries of tradition and brewing expertise play equal roles in the making of this beer. Our Märzen spoils the nose with fruity notes of cassis and earthy tones reminiscent of cedar. What We Tasted: Currants and raisins in the aroma along with an impression of honey sweetness. Flavor-wise, the dried fruit notes are joined by earthy hops and a dash of spice. What We Tasted: Firm bitterness, bready malts with a touch of bittersweet chocolate and a smooth finish. About The Beer: A German-American collaboration on the classic festival beer. Each year, we partner with a different German brewer to explore the roots of Germany’s famous Oktoberfest beers. This year, we’re collaborating with Germany’s Brauhaus Miltenberger, whose approach to the classic style we’ve long admired. 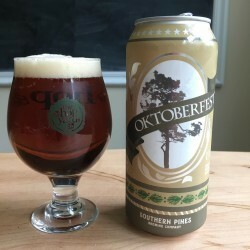 The result is a festival beer true to their style—deep golden in color with deceptively rich malt flavor and balanced by traditional German-grown whole-cone hops. What We Tasted: Moderate bitterness, biscuit and cracker maltiness, low dried fruit. Prevalent noble hops.